First Edition, 2001 is stated on the copyright page. Boards are white with silver lettering on a black spine. 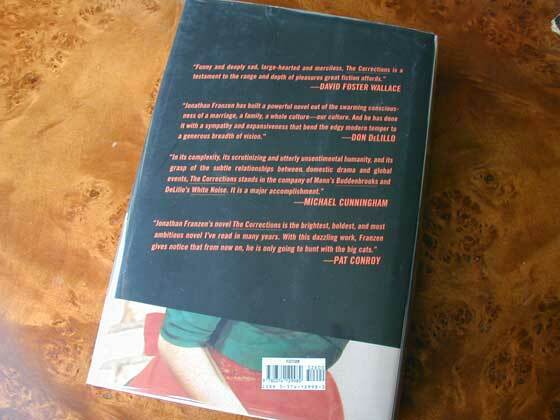 Back of dust jacket has blurbs by David Foster Wallace, Don DeLillo, Michael Cunningham, and Pat Conroy. A large amount of books within the first printing have the text on pages 430 and 431 erroneously transposed. The page numbers are in correct order, but the content is not. The error can be identified by the presence of an email message on page 430 rather than 431. 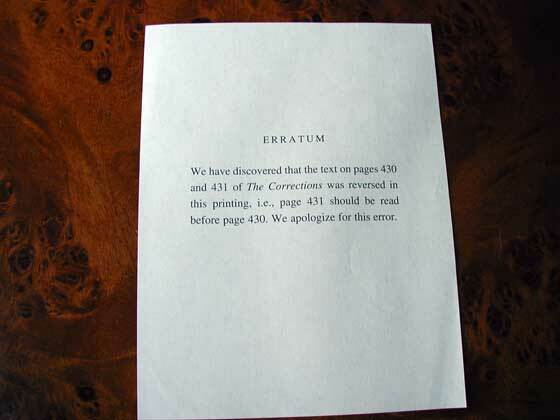 An erratum slip was laid in before the error was corrected that instructed the reader to read page 431 before page 430. 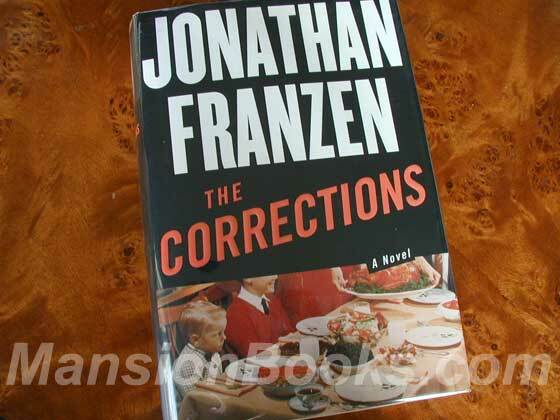 The Corrections won the National Book Award. This book is also an Oprah's Book Club selection. 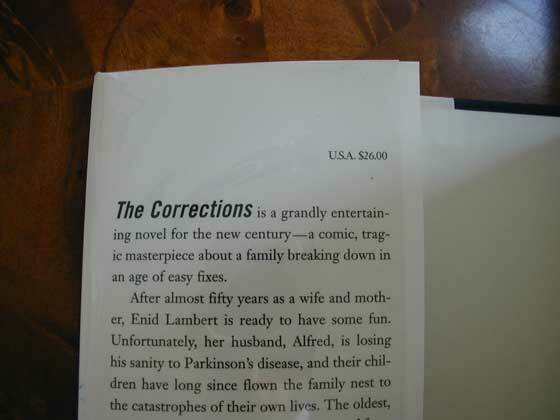 Picture of the 2001 first edition dust jacket for The Corrections.